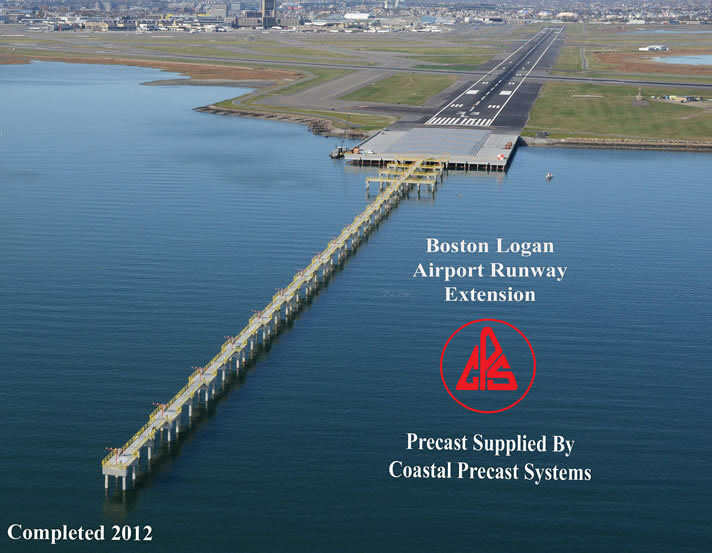 CPS produced 133,500 sq ft of Next Beam plus all the piling and caps for the runway extension at Logan Airport in Boston. This was a design build project with J.F. 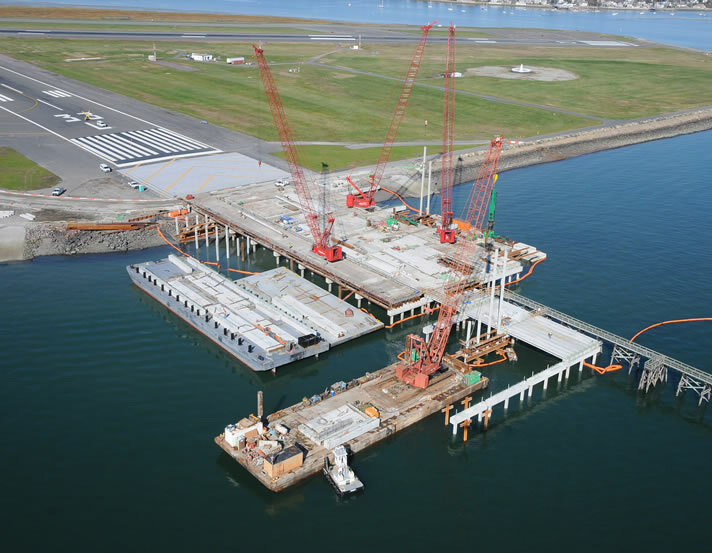 White, and first time next beams were used for a runway extension.